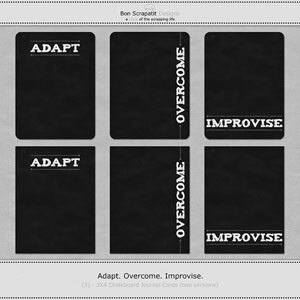 Bon Scrapatit Designs: IT'S CROP 'EM AND SWAP 'EM TIME AT 3SCRAPATEERS - COME JOIN ME IN THIS FABULOUS CHALLENGE FOR SOME QUICK AND EASY SCRAPPING!!! 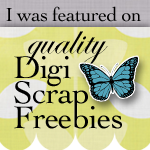 IT'S CROP 'EM AND SWAP 'EM TIME AT 3SCRAPATEERS - COME JOIN ME IN THIS FABULOUS CHALLENGE FOR SOME QUICK AND EASY SCRAPPING!!! How are y'all tonight??? I've not been quite up to par, but I am HAPPY to report that I started back on my program (lifestyle change) to combat these HORRIFIC digestive woes that I have inherited!!! One's body goes through MAJOR changes when you start giving it what IT needs and removing what it doesn't!!! I am not one to advocate anything to anybody as EVERY BODY is different and we all must find what promotes optimal health in us and make it a LIFESTYLE. Uhm ... especially after you turn 50!!! ROFL! Well, not necessary true as I have children in their 20's that suffer from digestive woes and I am trying to get them to look at making some changes while they are young so that they are each feeling "on top" as their life progresses. But you know how that goes! Anyhoo, I'm feeling chipper despite the discomfort I've been in as my POSITIVE nature won't let me dwell on it and when I'm REALLY uncomfortable, I sit and scrap or design so that I am focused on something good! How many of you have WINTER scrapping to do??? Raise those hands up high so I can see!!! 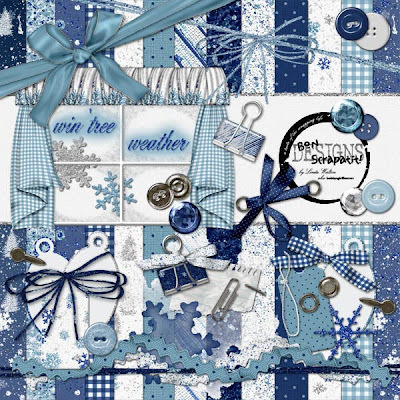 Well, you know I have my *WIN'TREE WEATHER* scrapkit at an introductory price of ONLY $3.00 until 2/29, however, my GOOD friend and colleague, Karen Halgren is featuring *WIN'TREE WEATHER* for this week's CROP 'EM and SWAP 'EM CHALLENGE in the 3Scrapateers' forum, which you can read all about HERE. 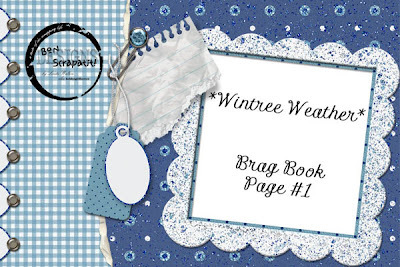 The sale of *WIN'TREE WEATHER*, which comes with a BONUS "Glistening Snowflake Alpha", will be extended through March 3rd to accommodate all of those wishing to come and join me in making some brag book pages for us ALL to share! For those of you already possessing this kit, you are GOOD-TO-GO!!! Karen's forum gives you a good explanation, but I will say a few things about it here as well. I have participated in MANY "Crop 'em and Swap 'ems' over the past several years and they are not only FUN, but a SURE-FIRED way to get some QUICK scrapping done and to be able to share BRAG BOOKS with your family and friends or to carry around in your purse when people ask to see photos of your family! Oh my, how MANY times I've been fit-to-be-tied over NOT having photos on my person!!! NO MORE! Now, there's a BRAG BOOK to whip out and to share with a Mama's pride! With winter getting ready to come to an end soon, what BETTER time to start preserving those WARM OR COLD "win'tree" moments spent skiing, snowboarding, sledding, vacationing, drinking hot chocolate by the fire, visiting relatives, playing in the snow OR just simply observing nature. One of my FAVORITE winter subjects are photos that I've taken of SNOW-LADEN trees! Oh yes, and naturally of my family!!! I would LOVE to see y'all helping me to fill up the gallery with YOUR creative brag book pages!!! I am even going to start you out by giving you one that I've made this evening!!! WOO HOO!!! And, I am going to be adding MORE to the gallery too! So, when everyone has sent their pages into Karen, she will zip them all up and send them out to EVERYONE who has participated via our Private Messaging system at 3Scrapateers. If you are not already a member, now is a FABULOUS time to hop on over and register. You might even find yourself taking a peek around! We have a WONDERFUL group of ladies just waiting to WELCOME you and to answer any questions that you might have. And you know that you can ALWAYS e-mail me with ANY questions, suggestions, etc. You can find *Win'tree Weather* HERE! I will be SO thrilled to have you all along on this GREAT adventure with me as I begin to scrap some of my WINTER photos and/or MEMORIES!!! SPECIAL NOTICE: Due to circumstances beyond my control, I am having to change the location of my freebie downloads, so they will NOW be uploaded to Media Fire (NO WAITING TO DOWNLOAD!!!) for my FUTURE blog posts. This move should not take any more time, just that you will be taken to Media Fire's website. I've already TESTED tonight's freebie link and it's ALL good!!! THANK YOU, THANK YOU for ALL of your LOVELY comments!!! Y'all help to PERK me up at the MOST needed moments!!! Have a TERRIFIC Thursday and I hope to see you back here tomorrow night!